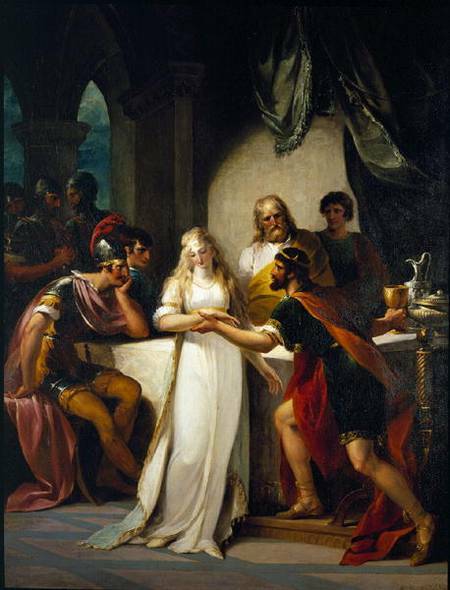 The King Arthur legends don't actually start with Arthur, but with several years of war, intrigue, and betrayal among the Britons, and a slippery earl by the name of Vortigern not-so-subtly engineering the deaths of two kings to become king himself. We'll start at the very beginning, with Arthur's grandfather being murdered and his father fleeing across the channel to protect himself from assassins working for a usurper king. We'll also meet Merlin as a child, as he's being hunted by the king's men in the Welsh highlands. On the creature of the week, if you're thinking about a career change into the medical field, forget all that annoying education and just become a Fairy Doctor. This somehow completely real profession from the middle ages doesn't involve any of that pesky schooling that a boring old MD requires, but allows you to heal people from this week's creature, an extremely dangerous and extremely adorable fairy from Gaelic folklore. This podcast is amazing. Side note, can you tell me what song starts at minute 8:58 in this episode (# 6A)? Great podcast though. Love these Legends, and these Podcasts. © Copyright 2015 - by Bardic Enterprises, LLC.